Here is a guide on how to obtain the ring that protect you from the 6k fire damage DoT from the Pandemonium environment. Here is how to get the items. 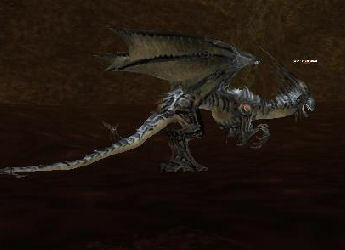 As name implies, you need to go kill Xark(8), lvl 250 dragon resting inside a vulcano. 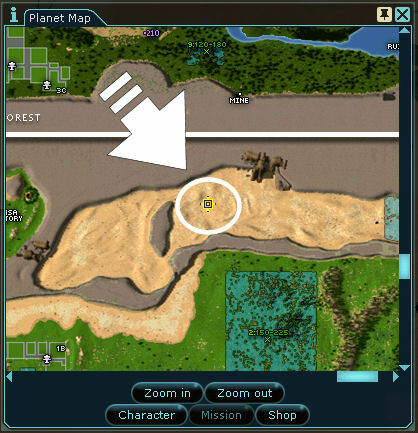 It's lair is marked on big map. It will drop 3x Xark's Whisker (needed for Hold Hell at Bay) and 1x Ignition Chamber of Bacam-Xum (used for making Prohibited Hand-Mortar of Bacam-Xum). 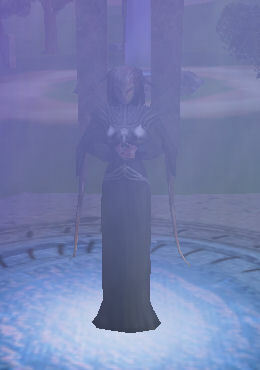 Upon his death, portal will spawn nearby to transport you outside crater. 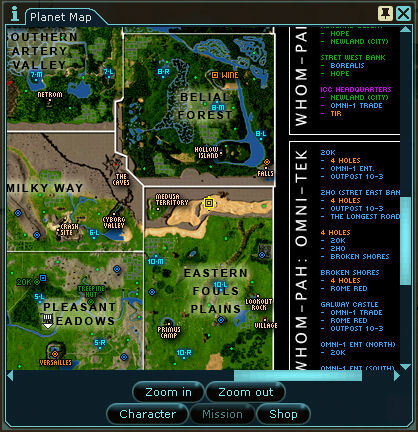 Xark is on 7h spawn timer. Like Xark, Razor(8) is on same 7h timer, is located inside another vulcano marked on map. It drops 1x Barrel of Bacam-Xum(used for making Prohibited Hand-Mortar of Bacam-Xum) and 3x Razor's Fang. I would recommend doing the Inferno Tours line of quests do that you get some extra phatz when killing the dragons. Ok, so you have all the items and think you can just hand them in for the ring? You ain't seen nothing yet. Brace yourselves for the next part. 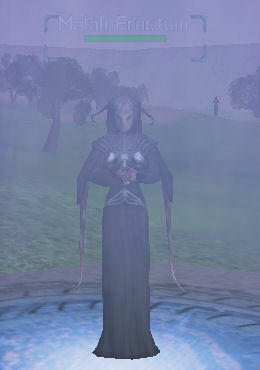 Basically, you need to give your ring components to 'Nhohor the Techno Shaman', an NPC that can be spawned on Rubi-Ka (EFP, 490 x 3800) by completing a rather hard and elaborate spawning process. The placeholder mob for Nhohor is a huge dragon called Tchu. He can be killed by a team of 220's these days. When Tchu dies, Nhohor will appear and despawn again after 30 minutes, so there should be plenty of time for a great deal of people to get their boots made. Incidentally, Nhohor also is the NPC that can make the Hold Hell at Bay Ring to protect you from the 6k DoT in Pandemonium. Hellion mirrors drop from Spirits and Spirit Hunters outside Ergo in Scheol. Random rate, so might take a little while. Get at least 4 mirrors. 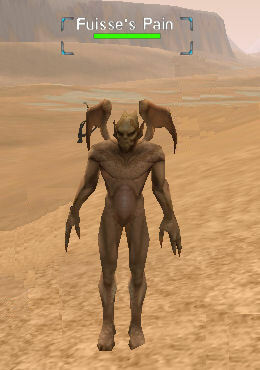 Go to Eastern Fouls Plains (EFP) at 1570 x 3900 and look for the Hellion Fanatic mob. He may wander around a bit, so widen your search perimiter if he's not at the exact spot. 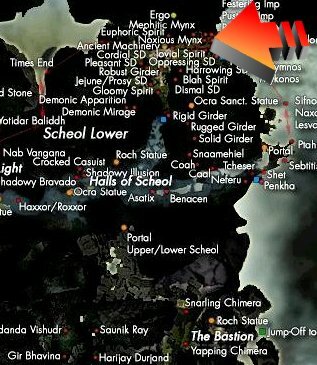 Hellion Fanatic will be around this area. This is a spawn mob, and a good calmer is highly recommended to handle the adds later in the spawn process. 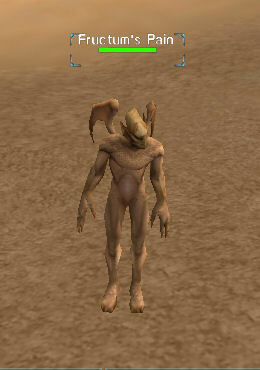 Kill the Fanatic, and 4 Hellion Imps will spawn at different locations around the crater. These are all spawn mobs too, and all of them need to be killed. When an Imp dies, 3 more Hellion Imps and one Orchard Philanderer will spawn. Calm the Hellion Imps immediately, and kill the Orchard Philanderer. The Orhcard Philanderer will spawn the corresponding Pain demon when it dies. Trade a Hellion Mirror with each Pain. 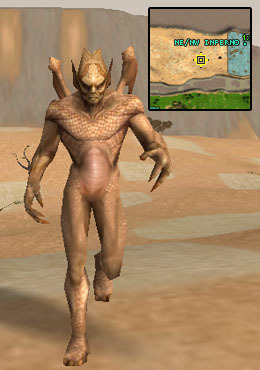 The Pain demons are impossible to attack, and for good reason. The only way to destroy them is to give them a Hellion Mirror (just open trade, do not chat!). Most importantly, the Pain mobs will leave you with a 'Focus of (mob's name)'s Pain', which you need in the next step. When all the Pains have been fed and you have the 4 Focuses, return to the Tchu spawn location in the Medusa Crater (EFP 490 x 3800). Despawning the Pains causes a 'Withered Old Witch' to spawn at the center of the Medusa Crater, on each of the 4 platforms with the 'spotlights' on them (North, South, East, West). Initiate dialogue with all 4 of the witches. Each of them wants the Focus that corresponds with the Pain that spawned them. Don't worry, the witch will only keep the correct item and returns any incorrect Focuses to you. When you have given the correct Focus to a witch, a Malah will spawn in her place. Repeat for all 4 witches and make sure there are 4 Malahs. IMPORTANT: Do NOT talk to the witches, and make 100% sure that there's nobody around that might talk in 'vicinity' with a witch targeted! This could ruin all your efforts. 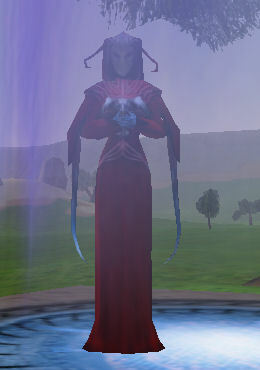 When all four Malah's are spawned, initiate dialogue with the one called 'Malah Filio' (Ssouth platform). She will ask for the 'Illegible scribbles in some strange language' that you recieved from The Milliner in Adonis. Hand it in, and recieve a Hellion Trinity Talisman in return. 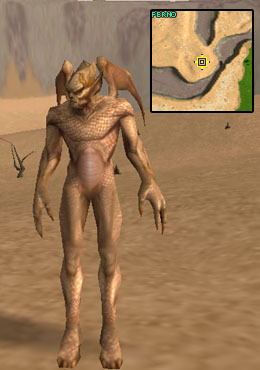 When you finally have the "Thrice Enchanted Talisman" in your possession, return it to Malah Filio, and Tchu with his horde of imps will start to spawn. Spawning him will seem like a walk in the park compared to killing him. This sounds a lot easier than it is. 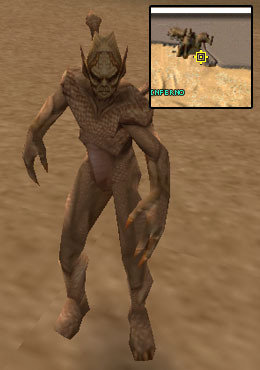 When Tchu spawns, a horde of about 40 Hellion Imps will start to spawn around him, so you obviously don't want to be anywhere near. 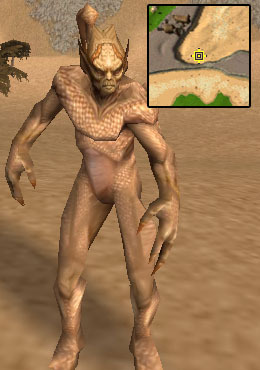 However, the imps will despawn after 30 minutes, so you can attack Tchu without the adds. 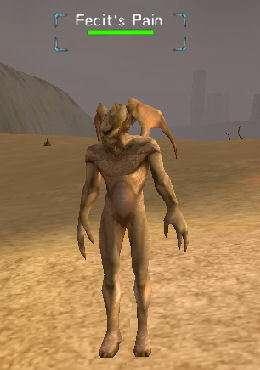 Tchu will be up for 30 minutes after the Imps have despawned. Killing this dragon is quite dangerous, and multiple tanks and docs are needed. NSD will land, but gets resisted a lot. Tchu hits for about. 7k normal dmg and 10k crits, even through reflects, so prepare to loose a few people during the fight when aggro flickers off the main tank. Having Engineers in the teams is a good idea for warping people back from reclaim. 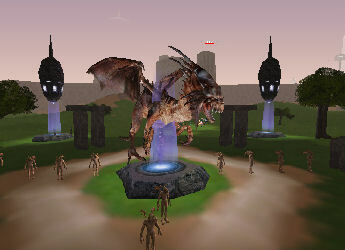 The usual procedure is to announce the Tchu raid on the official forums (Life on Rubi-Ka) or here at AO Universe's General Discussion Forum a day or two in advance, so make sure enough people are present to help kill the dragon, and of course to let as many as possible have a chance to obtain their boots or Hold Hell at Bay ring. People should gather and form teams on the hill at 560 x 3800, even before the spawning is started, since a lot of time is needed to reach the 'critical mass' of participants. 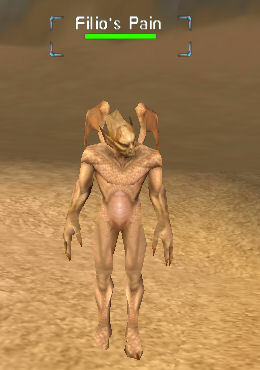 When the Hellion Imps start to despawn, it's time to buff up and prepare for battle! 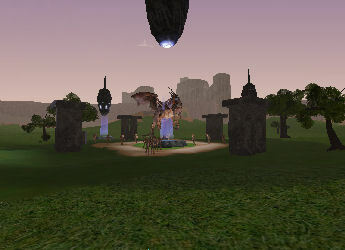 When Tchu is finally defeated, Nhohor the Techno Shaman will spawn at the same location, and everyone can start handing in their parts for the Hold Hell at Bay ring. Nhohor will despawn after 15 minutes. Trade with her to get your Hold Hell at Bay Ring! Do you have questions about this article or found an error? 7 comment(s) - Click here to view them!